Huge Savings Item! Free Shipping Included! 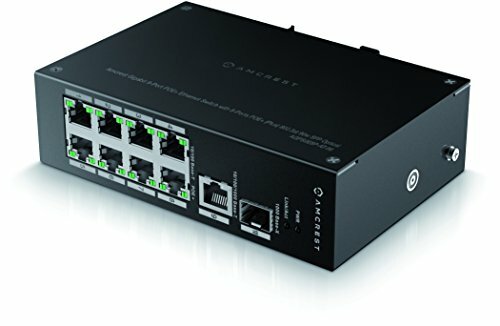 Save 20% on the Amcrest Gigabit Uplink 9-Port POE+ Ethernet Switch Metal Housing, 8-Ports POE+ (Plus) 802.3at 96w SFP Optical (AGPS9E8P-AT-96) by Amcrest at Pacs BG. MPN: AGPS9E8P-AT-96. Hurry! Limited time offer. Offer valid only while supplies last.